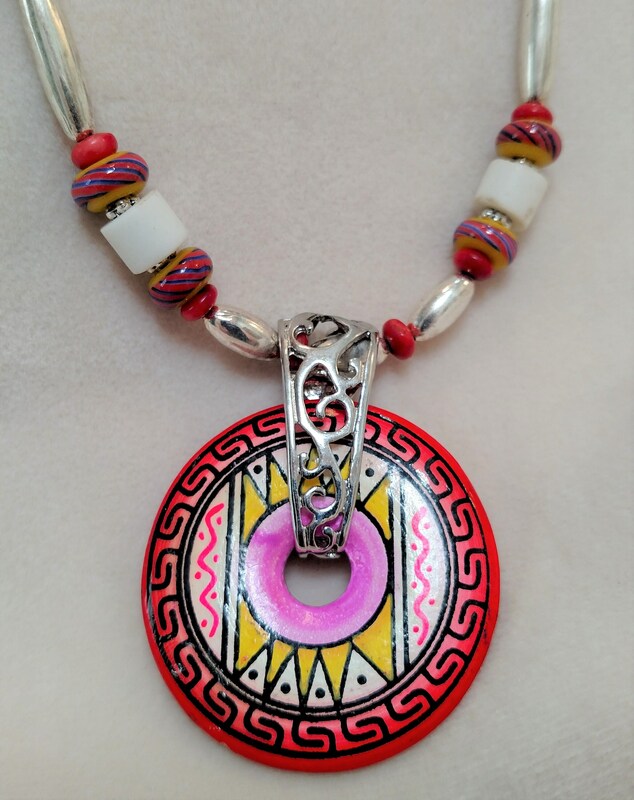 Here you have a hand-painted Peruvian ceramic disc as a charming pendant on a chain made to order. Don't buy this if you don't like color! 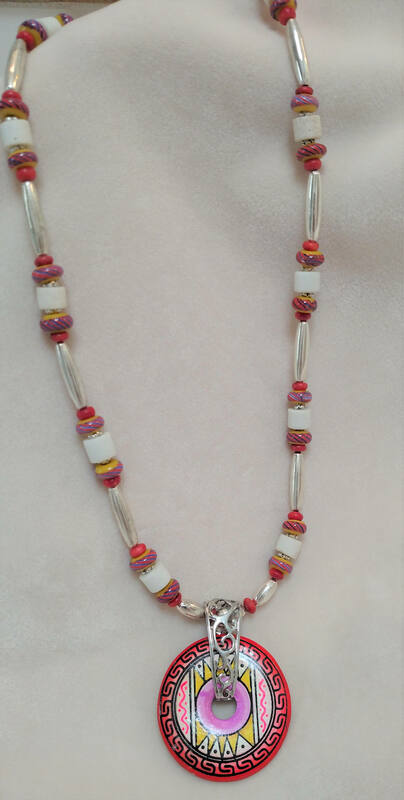 Beautiful pinks throughout this choker makes for a standout piece of very unique jewelry. Check out the coordinating earrings-#16, in the Earrings Section.